Dame Agatha Mary Clarissa Christie, Lady Mallowan, DBE (born Miller; 15 September 1890 â€" 12 January 1976) was an English writer. 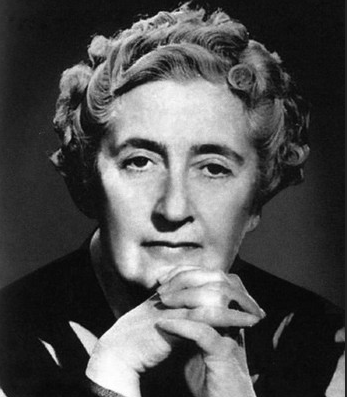 She is known for her 66 detective novels and 14 short story collections, particularly those revolving around her fictional detectives Hercule Poirot and Miss Marple. Christie was born into a wealthy upper-middle-class family in Torquay, Devon. Before marrying and starting a family in London, she had served in a Devon hospital during the First World War, tending to troops coming back from the trenches. Christie's stage play The Mousetrap holds the world record for longest initial run. It opened at the Ambassadors Theatre in the West End on 25 November 1952, and as of March 2018[update] is still running after more than 27,000 performances.